Court orders obtained in the United Kingdom resulted in freezing 95 accounts contained more than three and one-half million Pounds, belonging to Chinese university students. Funds were "smurfed' into accounts, often in cities other than where the "students" were enrolled, in amounts under the reporting threshold. If you have ever seen all the young Chinese nationals on line at the luxury goods stores in London and Paris, much of that money ended up buying extremely expensive items that were then sent to China and sold at inflated prices, further laundering dirty money. Some of the purported students are only "studying" the English language, and are not degree candidates. we wonder how many of them are, in truth and in fact, intelligence agents. One account, according to reports in UK media, received nine cash deposits in a single day, all through ATM machines in the London area. Some "students" had six-figure cash deposits into their accounts, far in excess of their legitimate educational needs. The freeze orders were executed pursuant to the UK Criminal Finances Act. Perhaps it is time for law enforcement in the United States and Canada to investigate all large bank accounts of their own foreign students from China, to insure that no such money laundering activities are being conducted on this side of the Pond. 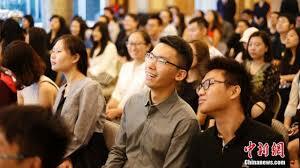 There are many students from China studying in the United States who parents are senior officials in the Chinese Government, or the PLA. How many of those are facilitating money laundering ? The filing of a civil forfeiture complaint in the American West, involving the use of Mexican fast food restaurants in Wyoming and Colorado in a money laundering scheme reminds is how cash-oriented businesses are often used by money launderers to clean narcotics proceeds. Restaurant operators simply fold drug profits into each night's receipts, adding to the cash normally received by patrons, and after paying taxes upon the increased "profits," have quickly and efficiently cleaned the proceeds of crime. Back in the old "Miami Vice" era in South Florida a restaurant whose profits were augmented in this manner was in the top ten food service profit centers in the United States, but its drug smuggling owners were soon being closely examined, to ascertain whether the business was a money laundering operation. More recently, Mexican restaurants in Toronto have been exposed by a whistle blower as depositories of Catel narcotics profits earned in Canada, though local law enforcement has apparently not succeeded in closing up their operation. Only if sharp investigators can prove that the wholesale purchase of food and ingredients comes nowhere close to the retail food sales claimed can a case for money laundering be sufficiently proven in a court of law, through forensic accounting. Generally, a participant who is in trouble with the law, and who is seeking to reduce his prison time, is the one whose assistance proves up the case. Any cash-oriented business is susceptible to receiving dirty money, and cleaning it for its owners, though in recent years reporting requirements have substantially reduced the types of businesses where this can occur. According to reliable reports from the Middle East, Hamas' new cryotocurrency fundraising campaign is an utter failure. 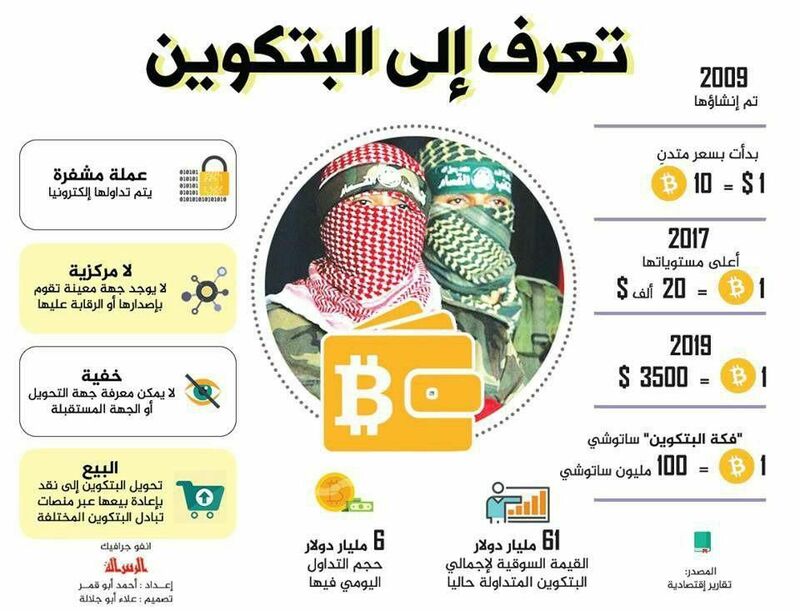 Hamas raised a total of USD$900 during the first day of operation, and some observers believe that the initial payments were actually made by Hamas agents seeking to impress prospective donors. In a week, a grand total of $2500 was raised. 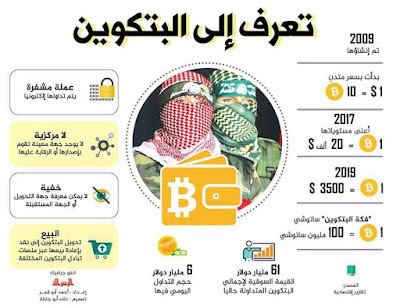 It is important to note that the Bitcoin fundraising campaign is being conducted by the so-called "Military Wing" of Hamas; it is the Military Wing that the UK House of Commons has now voted must be designated as a terrorist organization. The US has long sanctioned all branches and agencies of Hamas as terrorist entities. All prospective Hamas Bitcoin donors from the United States now risk OFAC civil fines & penalties, by contributing to Hamas in this manner, and shortly UK nationals will also risk fines & imprisonment, should they assist Hamas, in any way. 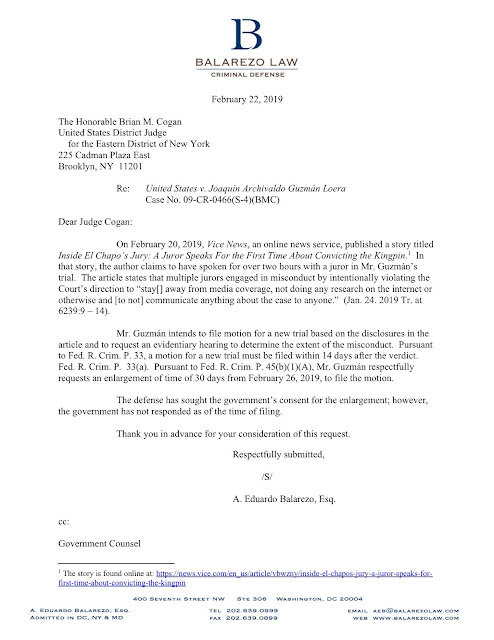 If you read nothing else today, read this document; Testimony of Michael D Cohen, Committee on Oversight and reform, US House of representatives, February 27, 2019 . access it here. Insurance carriers appear to be light-years ahead of the banking industry, when it comes to the use of facial recognition software to find information about a target, through social media and social networking resources. Insurance Premium estimates are calculated, in part, from examination of social media posts, to determine risk levels, from the target's non-work activities. If an insured is not learning to fly a small plane, which is high-risk, but engaged in other similarly risky behavior not known to the insuror, but discoverable through the application of facial recognition software programs to social medias resources. Several other businesses that deal with consumers, and sell them goods and/or services, could also benefit from a close look at their clients' activities. It is up to the vendors of facial recognition software programs to educate those other verticals to the possibilities of personal data acquisition that these programs offer. The commercial use of pairing facial recognition software platforms with social media and social networking resources, by non-financial users, will greatly expand into common use, as word spreads regarding its usefulness in risk reduction and cost cutting. 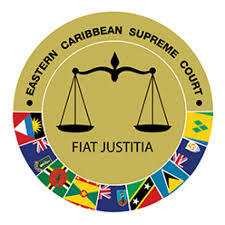 If you were wondering whether any of the diplomatic passports sold to foreign nationals by the five East Caribbean States that have Citizenship by Investment (CBI/CIP) programs owe any duty to the country that issued their passports, the East Caribbean Supreme Court has held that "in the absence of the existence of actual allegiance, the mere possession and use of the diplomatic passport does not create allegiance, adherence or obedience to the Commonwealth of Dominica under Dominican Law." The case, which arose in St Christopher (St Kitts) & Nevis, was brought by the Attorney General, against Dr. Denzil Douglas, former Prime Minister and Leader of Opposition, currently holding a seat in the National Assembly, who obtained, and subsequently used a Dominica diplomatic passport while holding elective office in St Kitts. 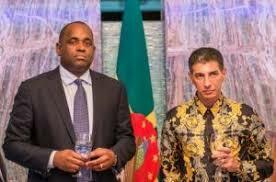 The Attorney General asserted that the possession of that passport meant that Douglas owed allegiance to a foreign state, which disqualified him from being a member of the National Assembly under the Constitution of St Kitts and Nevis, and brought this action. Douglas used his Dominica diplomatic passport several times, for "convenience of travel and business purposes." You may recall that St Kitts passports were subject to restrictions in North America, after a scandal broke involving the abuse of CBI and diplomatic passports by Iranian nationals. is owned by a holder of a Dominica diplomatic passport who is not a citizen of Dominica. Commonwealth of Dominica. Id at 127. Why is this case of significant interest to individuals outside the East Caribbean ? By holding that Dominica diplomatic passport holders owe no duty of allegiance to the nation that issued their passports, the validity of these passports becomes an issue, given the requirements of the Vienna Convention on Diplomatic Relations, which is UN treaty that all countries are bound by. Diplomatic passport sold for cash are void on their face under international law, and should not be accepted by any immigration or customs officer, but confiscated, and the holder taken in custody as a stateless person. The decision may have opened a Pandora's Box. WILL EUROPEAN PRESSURE CAUSE LUXEMBOURG TO CLOSE UP LE FREEPORT ? The European Commission is taking a close look at Le Freeport, a facility in Luxembourg reputed to be a destination for money launderers and European tax evaders. The warehouse allows individuals to store luxury goods, such as high-end art, jewelry and automobile far from the prying eyes of their country's tax collectors, but is allegedly little more than a place to hide assets. 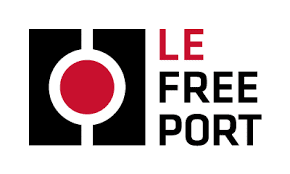 While traditional freeports allow businesses to locate goods there, tax-free, while they find buyers, the Le Freeport warehouse in Luxembourg has come to the attention of the president of the European Commission, which has referred the matter for further inquiry. One MEP has demanded that Luxembourg close it down. The last thing Luxembourg needs in 2019 is an issue with the EU; we have seen that Malta's problems, its CBI passports, its dodgy banks with foreign owners, and its officials named in the Panama Papers, all damaged its image with the European Union. We trust that Luxembourg's leaders move promptly to shut down this facility, which will certainly affect its reputation abroad, as well as within the EU. A Lebanese-American attorney, working in his Beirut law office, which advertises that it specializes in offshore business matters, has, through local New York counsel, sought to have his name stricken from inclusion in the list of attorneys that allegedly perform legal (and illegal) services for Hezbollah, an OFAC-listed Foreign Terrorist Organization. His representation of companies and other entities that are associated with Hezbollah is alleged in the civil suit filed in US District Court in New York. There is extensive mention of his activities in the white paper entitled Sandcastles: Tracing Sanctions Evasion through Dubai's Luxury Real Estate Market, which was the subject of a previous article on this blog. 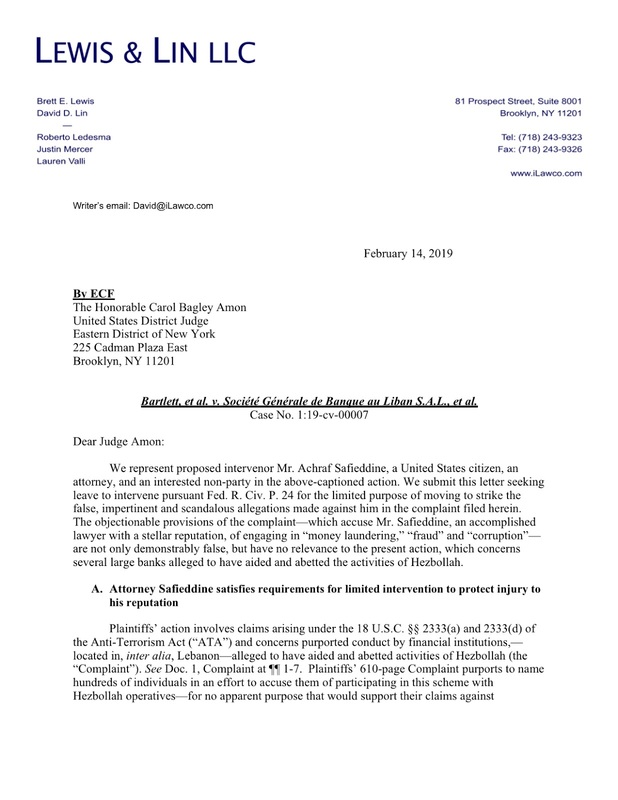 Attorney Achraf Safieddine claims to have an affiliated office in the United States, but we were unable to find a single jurisdiction where he is admitted to the practice of law, and cannot confirm that he is a US citizen. 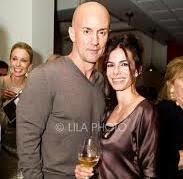 He reportedly does own substantial real estate in the US, centered in the State of California. Some of his clients are OFAC-sanctioned, as are certain corporations and other entities. Online Public Records seem to show the attorney as residing in Boca Raton, Florida; Bar records in Tallahassee do not show him as an attorney admitted to practice in the State of Florida. His attorneys are seeking to Intervene in the civil suit, meaning adding him in as a party to the lawsuit. 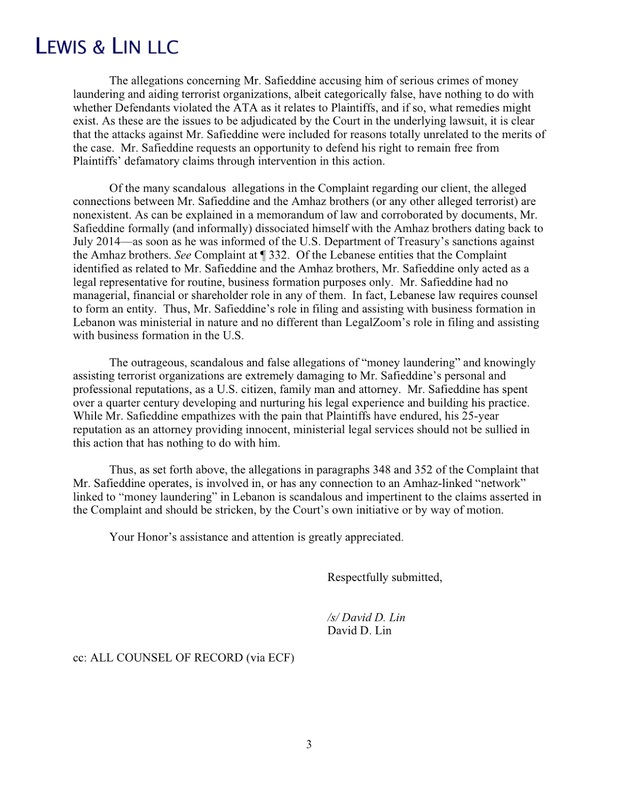 His attorneys' letter to the Court is below; it basically consists of a denial of his relationship with Hezbollah, and a demand that his name be stricken from the civil suit. Most legal observers doubt that the Court will summarily delete his name from the court filings. Will other lawyers also named & shamed as Hezbollah attorneys also take action to conceal their relationship with a Global Terrorist organization ? We cannot say, but we will be watching. It was February, 2017, amid the aftershocks of the release of the Panama Papers, that name partners Jurgen Mossack and Ramón Fonseca Mora were arrested, on money laundering charges. However, two years later, the investigation is incomplete, and there's no sign the case will ever go to trial. How can this happen, you ask ? Well, Panama's bribe-centered criminal court system encourages wealthy defendants to lay bribes and illegal gifts upon prosecutors, clerks, and especially judges and their secretaries. Many criminal cases never go to trial, and victims often wait a decade or more before giving up completely. The Mossack case is frozen, and apparently even the international shame of the publication of the Panama Papers is sufficient to goad a corrupt system into seeing that justice is done. Panama's President Varela recently condemned the European Union (EU) for placing the Republic on its money laundering blacklist; perhaps he should correct his country's failure to arrest, let along indict and convict, its money laundering banks and laundrymen. If he reforms his judicial system, perhaps then Panama will lose its tax haven/money laundering destination reputation. While the world was avidly consuming the 800-page memorandum of law, plus attachments, involving the sins and transgressions of former Trump Campaign Chairman Paul Manafort, there was an equally illuminating new source of information out there, but this one was for specialists in counter terrorism and terrorist financing. Two similar lawsuits filed in the Eastern District of New York provide information one can find nowhere else. I am referring to the 610-page Complaint in two cases filed against Hezbollah, and all the banks in Lebanon that facilitate the terrorist organization's operations. The cases seek damages for Hezbollah's involvement, together with the IRGC, in Iraq, on behalf of the Americans killed or wounded there, and their next of kin. The details of each and every attack supported by Hezbollah are included in the Complaint. If you are in any way involved in counter-terrorism or countering the financing of terrorism, I consider it required reading. The data contained in the information appears to be the most detailed analysis of Hezbollah that is publicly available. (1) The names of every Hezbollah front entity in Lebanon, together with the names of each company's leaders, and the rank-and-file Hezbollah agents who work there. (2) The identity of many otherwise obscure and publicly unknown Hezbollah leaders and agents. (3) The names of all the Lebanese attorneys linked to Hezbollah operations, and the front companies that they represent. (4) The names of other Lebanese professionals who are associated with Hezbollah. (5) A survey of each and every Lebanese bank that provides material support to Hezbollah. They are all party defendants in this civil action. 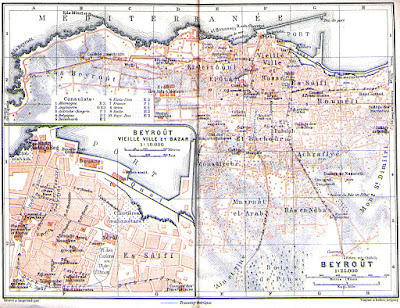 The two suits are Bartlett, et al vs. Société Générale de Banque au Liban SAL et al, Case No. 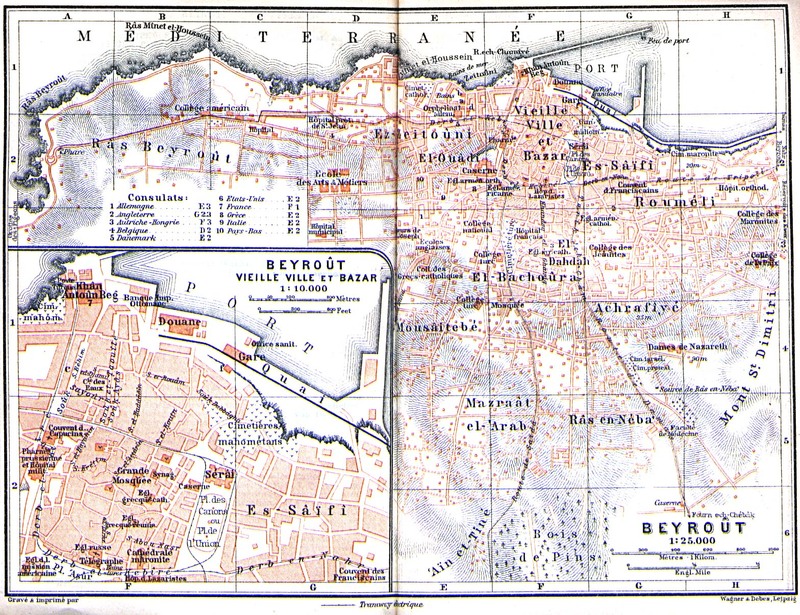 : 19-cv-00007-CBA-VMS ( EDNY) and Lelchook, et al vs. Société Générale de Banque au Liban SAL, Case No. : 19-cv-00033 (EDNY). You can access this information on PACER. Readers who require the information at this time may access the Complaint in Bartlett v. SGBL here. 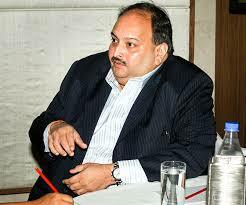 Mehul Choksi, India's most wanted man, who has been hiding behind his Antigua CBI passport, to evade extradition to his country since India requested him last August, is claiming he cannot be removed, due a lack of an extradition treaty between the two countries. 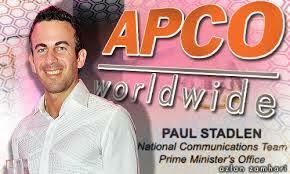 He also has asserted that Antigua's Prime Minister does not have the Constitutional Authority to extradite him. 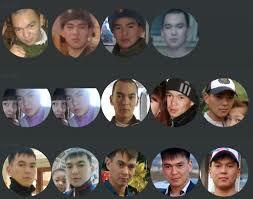 These ploys, while they have delayed the proceedings for most of a year, have no basis in Anntiguan law. First of all, by virtue of its membership in the Commonwealth of Nations, there is statutory authority. Antigua & Barbuda's 1993 Extradition Act provides for extradition of a fugitive to a fellow Commonwealth state. 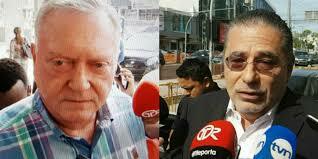 The lack of a specific extradition treaty between the two nations is not a bar to the removal of an individual. Second, the Prime Minister of Antigua has specific discretionary authority to extradite fugitives from justice abroad. This allegation about arbitrary conduct on his part is yet another ploy to confuse the High Courts in Antigua when they consider Choksi's case in March. A Citizenship by Investment (CBI/CIP) Passport is neither a shield nor a sword, protecting its purchasers from the Rule of Law in their home countries, and if any court rejects that principle, it will hasten the end of the international acceptance of CBI passports issued by the East Caribbean States. Guy Philippe. who as a police chief in Delmas, a suburb of Port-au-Prince, facilitated the transshipment of drugs into the United States, and who was convicted on drug and money laundering charges, has appealed the denial of his §2255 petition, alleging Incompetence of Counsel. The filing was made in the Eleventh Circuit Court of Appeals. Philippe, who is also known for being a former rebel and coup leader in Haiti, as well as the alleged leader of an execution squad. 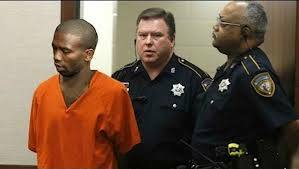 claims that his trial attorney failed to appeal the denial of his pretrial motions. We have previously covered the actions of the District Court. 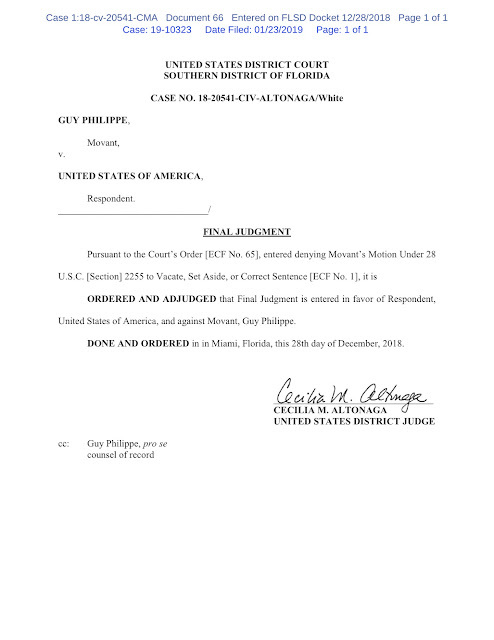 See Federal Judge Declines to Reopen Money Laundering Conviction of former Haitian Police Chief and Death Squad leader. The final order on appeal appears below. 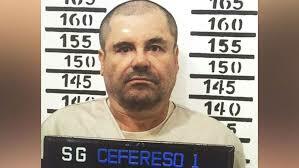 Attorneys for convicted Maxican drug kingpin Joaquín Guzmán Loera, more commonly known as "El Chapo," or Shorty, are seeking an new trial for their client alleging juror misconduct. 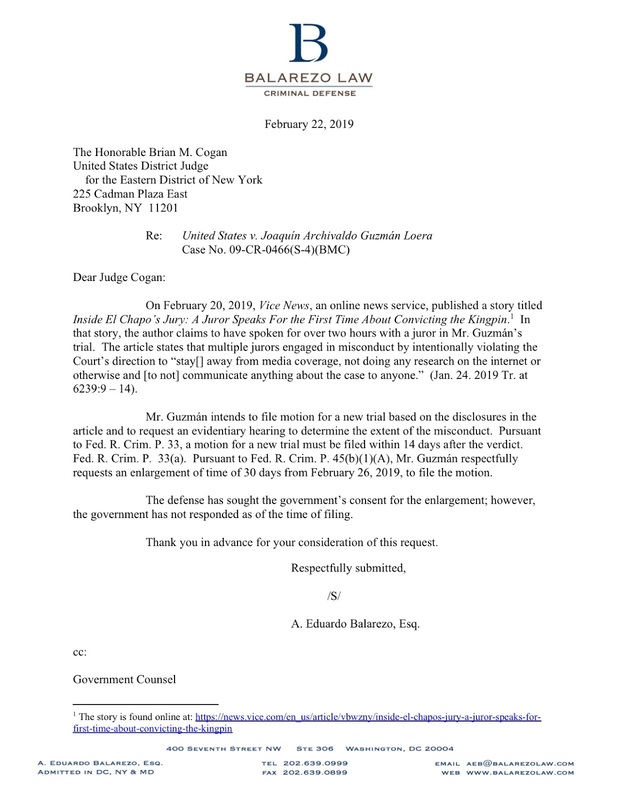 In a letter to the Court, asking for additional time to file the relevant motion, which was later granted, legal counsel advises that one juror disclosed that the jury intentionally violated the Court's instruction to "stay away from media coverage" during the three-month the trial. The letter states that the attorney intends to seek a evidentiary hearing "to determine the extent of the misconduct." The defendant faces a mandatory Life Sentence; he was convicted of money laundering, running a Continuing Criminal Enterprise, firearms violations, the international distribution of narcotics. and other charges. ARE YOU SENDING ANY PAYMENTS TO THESE 11 BEIRUT BANKS THAT PROVIDE MATERIAL SUPPORT TO HEZBOLLAH ? 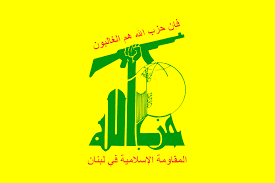 A civil lawsuit, filed in US District Court in New York (EDNY), has asserted that eleven prominent Lebanese financial institutions are allegedly providing material support to Hezbollah, in the form of financial and banking services. The Complaint alleges that the banks are well aware of their role in facilitating Hezbollah. Given the US designation of Hezbollah as an FTO, Foreign Terrorist organization, any American bank found to be providing material support to a terrorist organization could be indicted. Do not count on a Deferred Prosecution Agreement or a civil OFAC penalty to save your bank. The best way to reduce risk to manageable levels is to red-line contact with all the above banks. 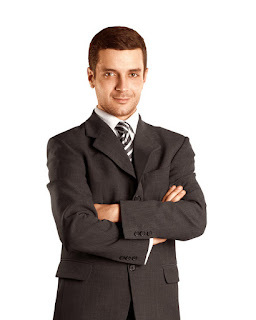 You may lose some business, and some clients may move to your competition, but you will escape the reputation damage that being indicted will cause. Many late-model entertainment centers that sit on the seat-back of certain airliners, which provide motion pictures, television programs, music, video games and other features for air travelers, have a feature not listed in your program guide: a fully-functional camera. While there is no publicly-available list of all airliners so equipped, Singapore Airlines' spokesmen have stated that there are cameras on Airbus A350 and A380 aircraft, and on Boeing B777 and B787. American Airlines and United Airlines have also admitted to have cameras on board. 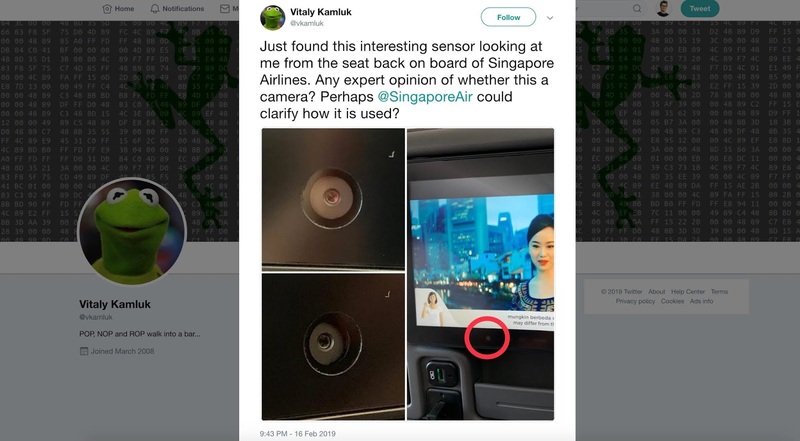 The manufacturers installed the cameras for future consumer use, such as seat-to-seat communication, but the possibilities for use in counter-terrorism investigations should be investigated. When coupled with a facial recognition software system that has access to global terrorist databases, seat-back camera images could alert law enforcement agencies, and intelligence services, in real-time, to the presence of suspected terrorists, or terrorist financiers on board an aircraft in flight. 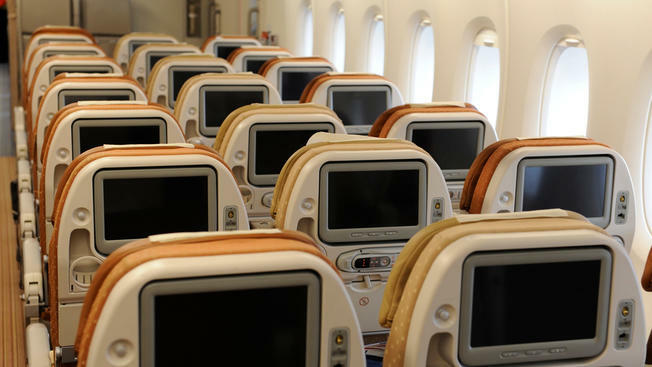 Though there may be privacy advocates who object, it is doubtful that the law will find that there is an expectation of privacy on board an airliner engaged in interstate or international travel. The counter-terrorism benefits of access to these images, as well as building an image database of airline travelers, cannot be underestimated. Remember Ismael Gerli, the Panamanian lawyer who was charged with forging his clients' signatures on Bearer Share certificates, and stealing their real estate holdings ? He literally bought his law degree, from a university in the Republic of Panama, never attended the classes, and used that bogus degree to gain admission; there is no bar exam in Panama, only what we call the diploma privilege. 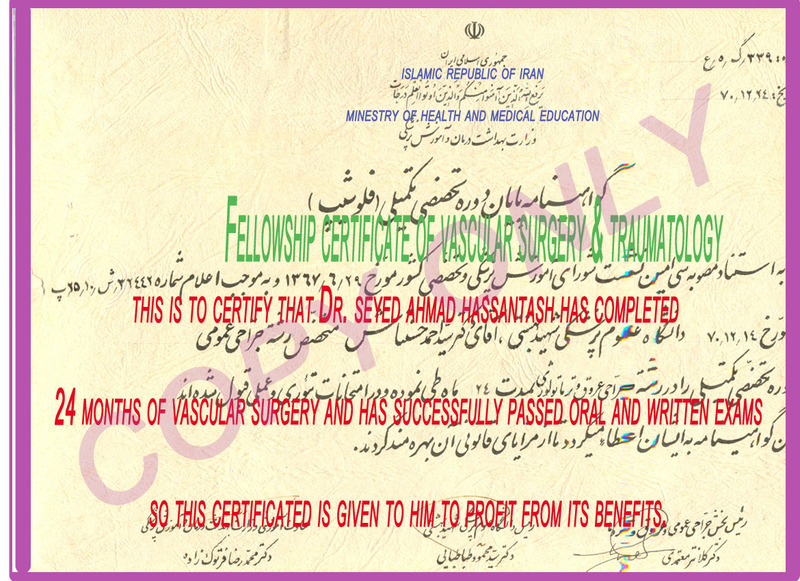 if you have a law degree, you are automatically admitted to practice there. Gerli has no legal training, education or experience whatsoever, but he is an attorney; Such people are dangerous for a lot of reasons. In Canada, immigrants from Iran and the Peoples' Republic of China arrive with advanced professional degrees in hand, whether they be in medicine, law, engineering, or the fields. 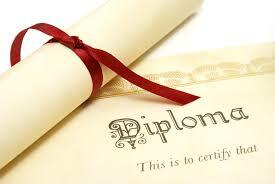 Most of these degrees were bought for cash, and without any university attendance in those fields of study. This organized international fraud, which is perpetrated on a grand scale by immigrants, results in unqualified "professionals" receiving licenses to practice their profession, which is a clear and present danger to the Canadian public at large. This fraud, which has been confirmed by sources in Canadian law enforcement, could be fatal to its victims. 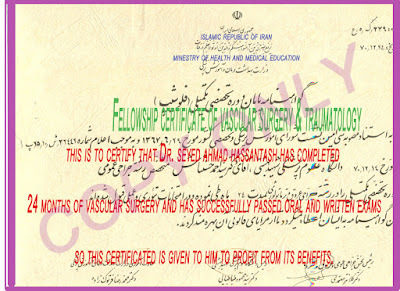 What if you went to a physician, armed with a bogus Iranian medical school diploma, and resulting Canadian license to practice medicine, and he or she attempts a medical procedure upon you, but has no training, cuts into an artery, and you die in the office ? What if you seek an attorney for legal advice in litigation, and he is unprepared, resulting your good case being dismissed with prejudice ? What if an engineer signs off on a building repair that later collapses upon its occupants ? What will Canada do ? 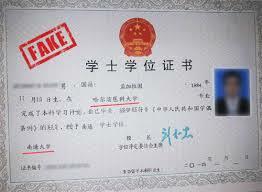 Confirmation of bogus degrees "earned" abroad, in a corrupt jurisdiction, is difficult at best. How do you know that the verifying party was not himself paid to confirm the degree ? We cannot say, but unless Canada finds an effective way to vet immigrants, bogus and unqualified professionals will continue to gain admission to advanced occupations. The United States has severely cut back on all aid, direct, indirect, and in kind, to the Palestinian Authority, While the public reason given is the fact that the PA pays out approximately one-half of its funds to terrorists, their families, and next of kin, there is another, less discussed, reason: the utter corruption all Palestinian leadership is guilty of, starting with Yassir Arafat's $11bn in Swiss banks, and down to today, where Palestinian leaders live in luxurious homes and estates, while their people scratch for an adequate living in a failed economy that the leadership ignores, while pandering to the Arab world for donations and support. This is a system that pays salaries to employees of "Palestinian Airlines" each week, while the airline has not planes and is not operational. Readers who wish to learn more may access Integrity and Combating Corruption Palestine from Transparency Palestine here. 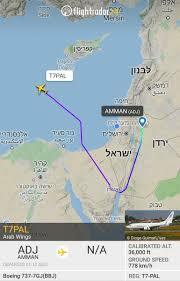 Palestinians will not even overfly their own territory. 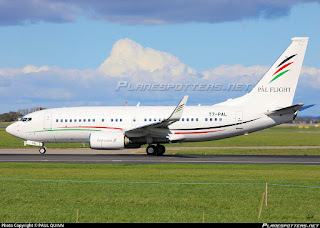 PA leaders fly out from an airport located in Jordan, on their Boeing Business Jet (BBJ), which is a 737 fitted out with luxury accommodations. The cost of one hour of flight time is USD$20,000. look at this private jet and wonder how many schools, hospitals and other charitable organizations would be better recipients of this money, rather than pampering a group of elderly professional politicians looking for still more handouts abroad. The airport in Jordan where the private jet is hangared. It would appear that M(itsubishi)UFG Bank Ltd*. cannot remedy the BSA/AML deficiencies in its compliance program, for again the Office of Comptroller of the Currency has imposed a Cease and Desist, captioned now as a Consent Order. We have seen prior C & D orders issued by US regulators, and the bank does not seem to be fixing its systemic defects. (1) Failure to timely file SARs, Suspicious Activity Reports. 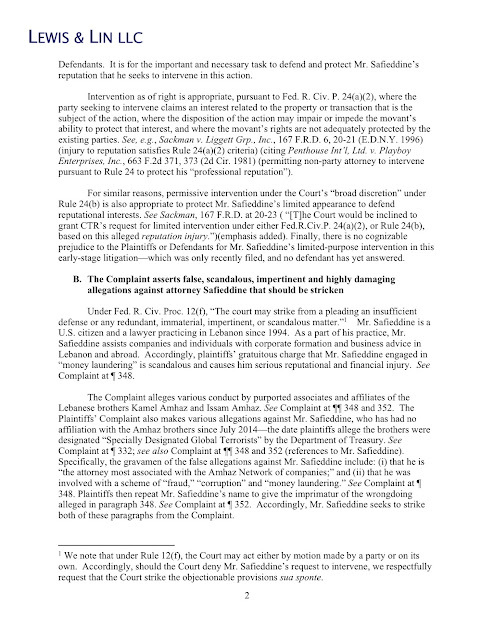 (2) Failure to implement effective compliance on correspondent accounts of foreign financial institutions. (3) Failure to maintain and effective compliance program that covers BSA/AML. (4) Systemic deficiencies in transaction monitoring systems. (5) Gaps in trade finance monitoring. (6) Insufficient internal Audit functions. Readers who wish to review the complete text of the 25-page Consent Order may access it here. 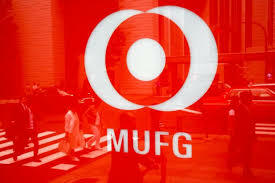 * The bank changed its name to MUFG Bank Ltd., which may be considered misleading, as the prior regulatory actions were against the bank under its original name. American businesses might not know that the bank, now without any indication that it is a foreign bank, has a history of regulatory black eyes. WHY CAN'T THE U.S. GET THIS DRUG KINGPIN FROM THE UAE ? 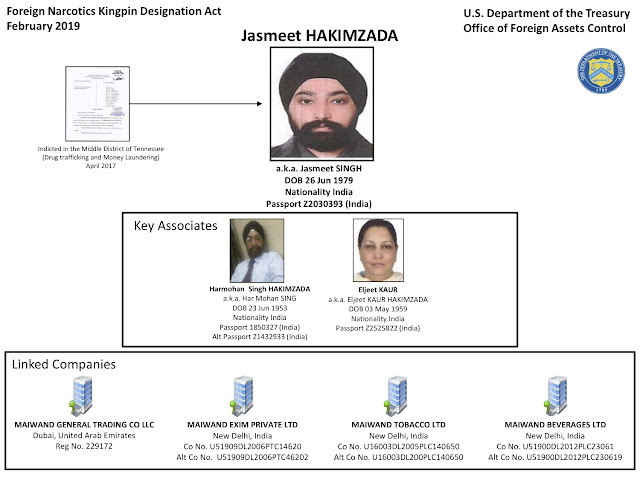 If this designated Kingpin, who is residing in the United Arab Emirates, and in India, truly presents a clear and present danger to the US as indicated by OFAC, why can't he be extradited to face the music in an American courtroom ? He has already been indicted in a Federal Court in Tennessee; what's the reason he is not in custody ? It seems that everyone affiliated with the shell companies surrounding Malta's dodgy and now-closed Pilatus Bank is Iranian, but prefers to be known only by whatever CBI passport of convenience they have. Take a close look at all the players, their jurisdictions of choice, what positions or titles they hold in the dark Pilatus empire, and how they fit in to the money laundering enterprise. A Court in Paris levied a $5.1bn fine on UBS AG, and UBS SA (FRANCE), for money laundering, Illicit Solicitation, and Laundering the Proceeds of tax Fraud. The fine was specifically for €3.7bn, plus 15m EUR, and eight hundred million Euros in civil damages. This fine exceeded UBS' reported net profit for 2018, which was the equivalent of $4.9bn. The bank has stated that it denies committing any criminal misconduct, and asserted that there is no evidence to support this ruling. It also alleged that "there was no offense committed in France," raising the defense of Swiss sovereignty. It stated that it will appeal the ruling. The Court convicted the bank of soliciting high net-worth clients to assist them in tax evasion. It stated that UBC conducted the same covert tactics to solicit clients that it has done previously in the United States; sending its officers to sporting events and gatherings where large numbers of high net-worth individuals typically gather, and concealing their bank affiliation in a stealthy manner. The officers were operating under instructions to be covert; they were not authorized to solicit business in France. Readers who wish to read the bank's response may access the English language press release here. 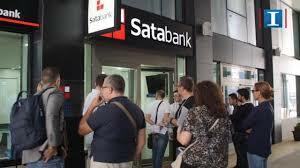 Satabank, owned by Bulgarian interests, was placed under administration last year by Malta's regulatory agency, when the bank's 12,000 accounts were frozen as part of a clampdown due to money laundering concerns. The country's Financial Intelligence Analysis Unit found suspected ties to organized crime among the depositors, including several online gaming companies. A large number of local businesses in Malta, who were Satabank customers, all suffered serious losses when their operating capital, which consisted of deposits at the bank, was frozen in October; some have been forced to close their doors. Whether clients of the bank were laundering money remains an open question, as well as why it took Maltese regulators years to act on suspicions. Satabank's weekly press releases for bank clients appear to be vague and imprecise, and do not finitely explain either the examination process, nor exactly when refunds will be made to depositors, especially corporate clients. Coming on the heels of the Pilatus Bank scandal, it has left not only Maltese nationals but the financial world at large questioning the ability of Malta's regulators to adequately supervise their country's financial institutions, and have caused Country Risk to be elevated by many foreign banks, concerned about Malta's banking structure. IS RUSSIA'S SEARCHFACE THE "WAYBACK MACHINE" FOR ENHANCED DUE DILIGENCE SEARCHES ? Compliance officers all love the Wayback Machine (https://archive.org), for it allows us to view deleted, expired, removed and otherwise unavailable, webpages, during due diligence inquiries. It appears that an enterprising Russian group has done the same with social media head shots of Russians and certain Eastern Europeans. 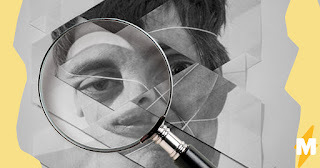 The website, SearchFace.ru, allows users to drop in photo of a target, and the installed facial recognition software program searches Vkontakte (VK) profiles. The beauty of the site is that it is not only searching currently available VK profiles, it is also looking through deleted, suspended, and even locked & private profiles. Inasmuch as searching Russian social media sites during due diligence investigations is often difficult to impossible, use this tool. There are many group short in the profiles, which allows you to identify individuals showing up in unexpected places. Given the demonstrated usefulness of searching social media sites, using facial recognition software platforms, in due diligence and enhanced due diligence investigations, perhaps this Russian site can fill in a gap in your resources. 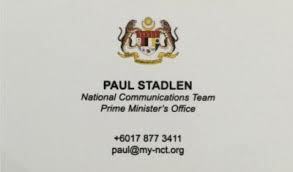 PAUL STADLEN, who handled public relations for former Malaysian Prime Minister Najib Razak, who was charged in the $4.5bn 1MDB embezzlement scandal, has now himself been charged with two counts of money laundering. 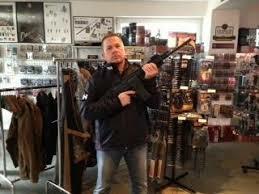 The figure of three million dollars, representing the proceeds of crime, was allegedly the extent of his involvement. Of special interest to American readers is Stadlen's period during which he worked fior FBC Media, which is a Paul Manafort connection. Manafort is the convicted former Trump Campaign Chairman who figures prominently in in the 2016 Presidential Election Campaign regarding alleged Russian efforts to fix the election in favor of Donald Trump. 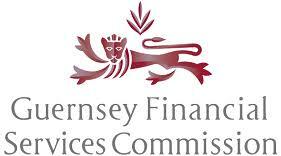 If you live or work in Guernsey, or have clients that use the services of the offshore financial center of the Bailiwick, please note that the effective date of the Revised Handbook on Countering Financial Crime and Terrorist Financing, issued by the Guernsey Financial Services Commission, is March 31, 2019. You can access the complete text of the 31-page document here. 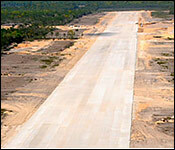 The owner and principal of a New York-based investment fund that promised a high rate of return from the construction of an international airport in Plasencia, Belize has entered a guilty plea in New York District Court, Brent Borland's Belize Infrastructure Fund I LLC failed, and 40 investors of record lost $22m. The investments, which were promissory notes, were supposedly secured by unencumbered real property located in Belize, was either pledged, or non-existent. If the investors had simply conducted an effective due diligence investigation, they would have learned that the fraudsters used the same real estate over and over again, to "secure" the promissory notes, when the equity in that realty was insufficient to collateralize all the debt. Investors who do not have the foresight to check things out in advance through an attorney, and who are dazzled by the promise of double-digit returns, often end up with nothing. 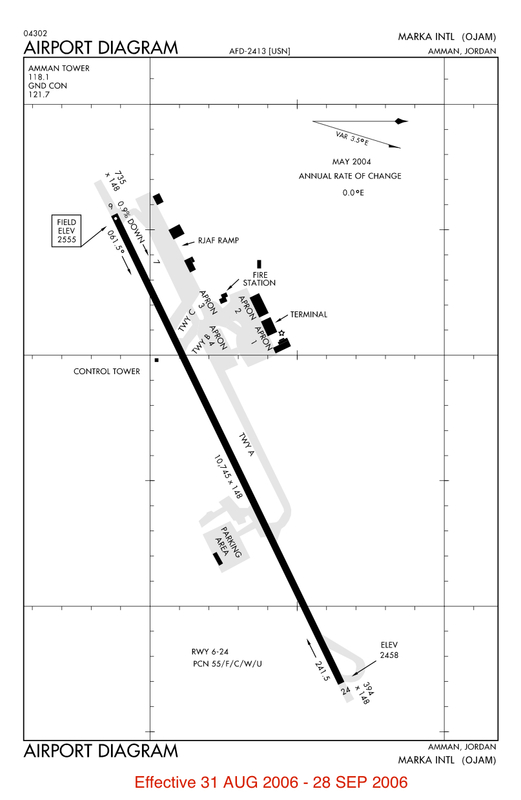 The money was supposed to be a "bridge loan," pending permanent financing for the 10,000 ft. airport runways, associated structures, and medical center. There has been no construction, and the defendant used much of the money to fund a luxurious lifestyle, including his wife's $2m credit card debt. 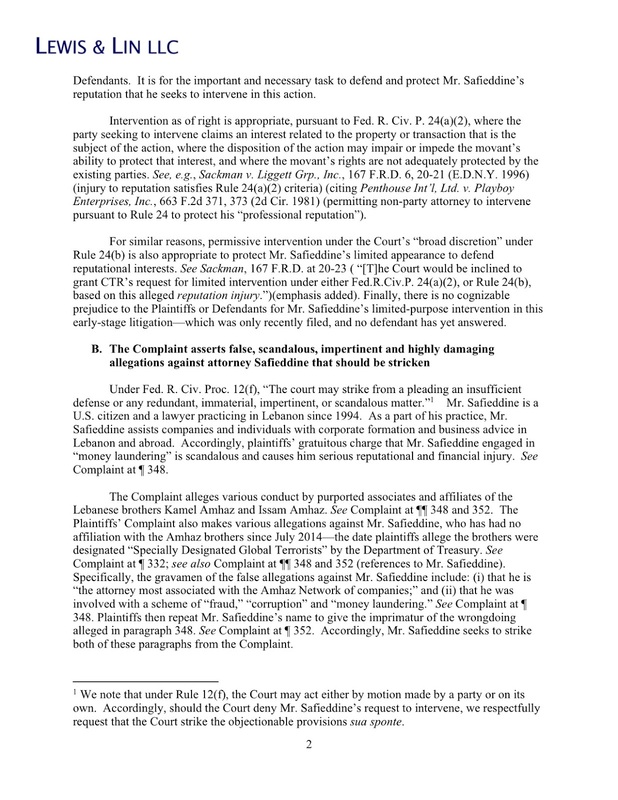 (1) one count of conspiracy to Commit Securities Fraud and Wire Fraud. (2) One count of Securities Fraud. (3) One County of Wire Fraud. Since the Presidential Election of 2016, there has been zero progress in advancing the 2015 FinCEN Proposed Regulation regarding AML programs for Registered Investment Advisers, (which includes hedge funds). When regulations upon hedge funds were postponed after the USA PATRIOT Act of 2001, hedge funds became a prime target of opportunity for money launderers who work for the world's largest criminal syndicates. The 2015 proposed regulation, which can be accessed here. is the last best hope to rein in hedge funds. 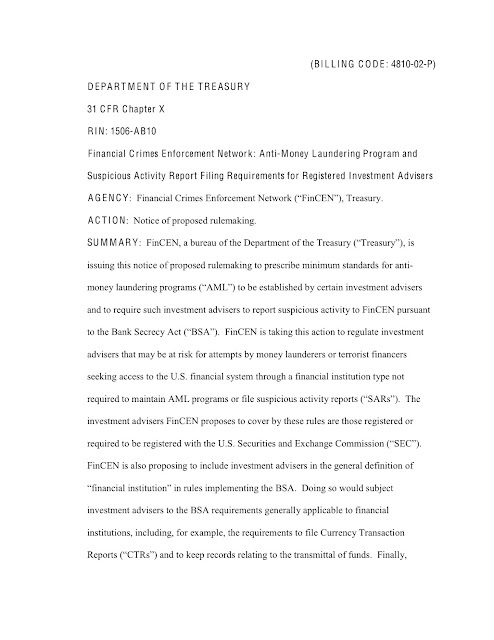 Unless Unless FinCEN and Treasury wake up, and take this issue seriously, money launderers will still have access to place, and secrete, their clients' criminal profits within offshore hedge funds. 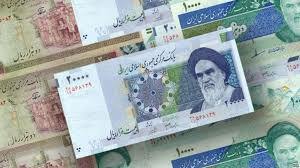 Iran's new anti-money laundering bill, as passed, reportedly has a number of shortcomings, but none so serious as the deletion of the provision that imposes an absolute ban on changing the identity on individuals and entities that conduct financial transactions. This means that anyone, or any entity, that is subject to sanctions may have their identities altered, so as to deceive the recipients, and all the banks handling the transactions. What this is is a loophole that aids and abets money laundering and terrorist financing. 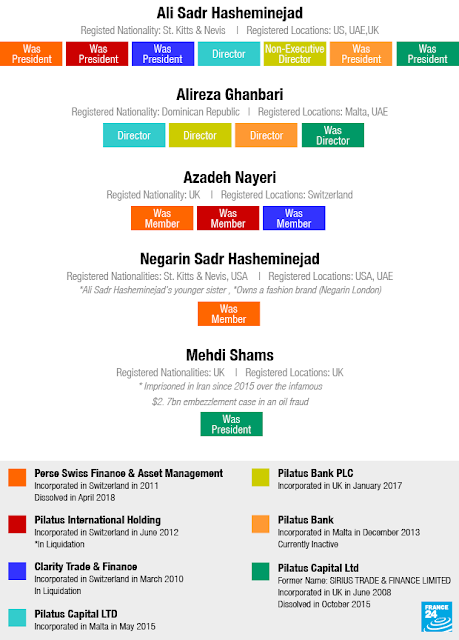 Iranian bankers can now conceal the identity of account holders, meaning that they can knowingly change the name of a sanctioned client, and not violate the AML laws. If you needed a reason to block ALL transactions that originated in Iran, irrespective of how clean the sender was, here are the necessary legal grounds to support that action. Iran's deputy judiciary head publicly stated that billionaire oil sales proceeds thief Babak Zanjani will still be executed, and that he will be hanged after he returns the more than $3bn he stole from the Oil-for-Gold Iran sanctions evasion program. Zanjani was sentenced to death in 2016, for "Crimes on Earth, " after he and his partners diverted billions of dollars they received while operating a massive global oil sanctions evasion sales scheme. This is a departure from earlier government statements, in which Iran's judicial authorities promised to reduce his sentence, and not execute him, provided he return the billions stolen. It has been acknowledged that the missing money is outside Iran, and cannot be recovered. 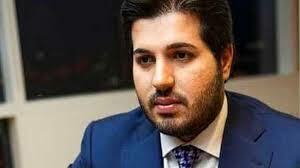 Zanjani's partners, which included Reza Zarrab, now cooperating with the US Goverment, are believed to have control of the funds; it is not known whether Zarrab has turned over all or part of the money to the US. 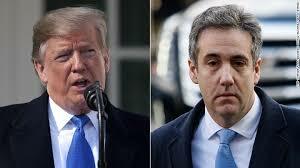 He is presently living in New York, released from custody in an unusual arrangement which would support the theory that he has rendered Substantial Assistance to the US Department of Justice. The other known co-conspirator, Alireza Monfared, who is believed to be in Iranian custody, after he was detained in the Dominican Republic, and spirited to Iran, via a circuitous route that avoided US airspace, and the possibility he would fall on American hands, laundered the illicit oil profits through the Malaysian offshore financial center of Labuan, and some of the missing money may be located there. Monfared's abuse of a diplomatic passport, issued by the Commonwealth of Dominica, widely exposed the sordid business of selling "diplomatic" status in the East Caribbean States. 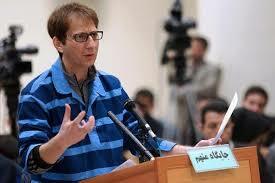 It has been anticipated that Zanjani's partners in crime would eventually save his life by paying Iran the $3.5bn it says he owes, which includes interest, but now, with this news that it will not stop his execution, it is doubtful that this will ever occur.